Have you ever had dengue fever? Have you ever had dengue fever? If you haven't, then consider yourself lucky. I've had dengue and it was just the worst. I caught it not only once but twice—both times, I had to be confined. Having gone through that ordeal, I take extra precautions, especially when it comes to my family. 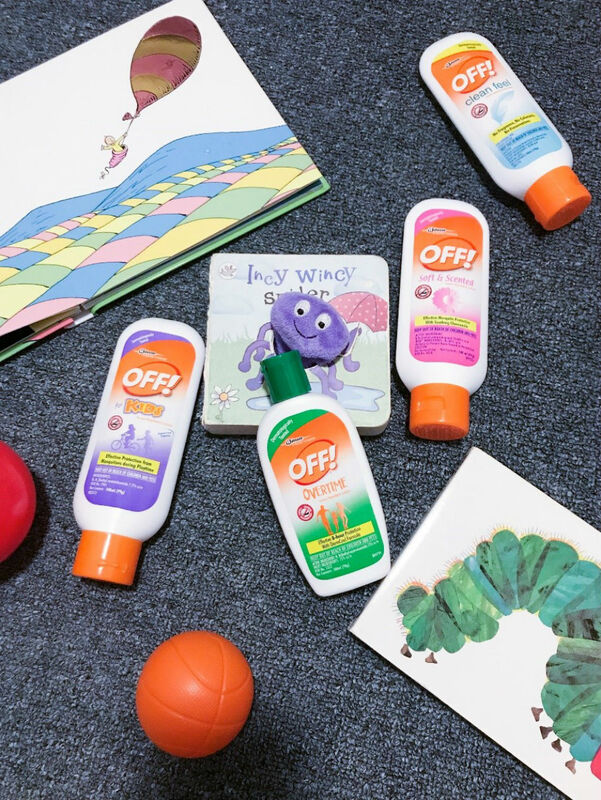 I am not exaggerating when I say that mosquito repellents have been a part of our lives since day one! We have bottles all over the house—from the car to the garage to the shed in the garden—that way we are always prepared, even if we decide to take an unplanned adventure. Having mosquito repellents handy is very important. When we’re indoors, I also make sure to keep the doors closed and the screens in good order to keep the mosquitoes out. However, I always keep our OFF! 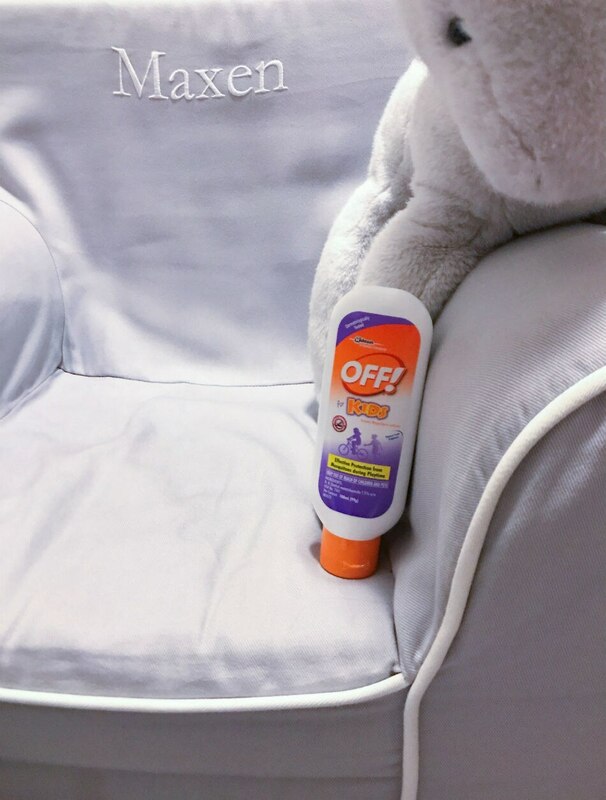 Lotion in a safe place, like inside my closet or in my dresser, away from my young kids. Our home isn't infested with mosquitoes, but because we have a garden and we always go to the park to play, I want to make sure that my family stays protected. OFF! Overtime is actually one of my favorites. First of all, it is dermatologically tested, so it's very gentle on your skin. It also lasts for 8 hours, so you won't have to keep reapplying every hour. It's got a formulation called Dermcool so it actually feels refreshing when applied. No sticky feeling! Plus, it smells really good! One thing that you must know is that all OFF! products contain active ingredients, which are either DEET or Picaridin. Both active ingredients are essential in repelling mosquitoes, because they work by forming a vapor barrier on the skin’s surface; this directly affects the mosquitoes' scent receptors so that they can't get on your skin and pierce it. What I've learned over the years is that it’s also important to read and take note of the product directions. That way, you can make sure that you get the most out of the product you choose. Another variant that I highly recommend if you have children is OFF! For Kids. This is dermatologically tested and is mainly used for short outdoor activities. It lasts for 3 hours after which, it must be reapplied. I love how this one has a fragrant tropical scent, which my kids Noelle, Tyler and Maxen don't mind at all. However, aside from using OFF!, we should also make sure that we keep our environment clean to prevent mosquitoes from entering our house. One way to do this is to make sure that we do not leave stagnant water around since these are good breeding places for mosquitoes. Another tip is to have mosquito-repelling plants in your garden like Citronella. Candles are also good repellents at home. Aside from OFF! Overtime and OFF! For Kids, there are two other OFF! variants as well—OFF! Soft & Scented and OFF! Clean Feel. Did you know that OFF! is actually the #1 brand in the Philippines? It's been around since 1983 and that says something! This is a brand that I trust to protect my family. 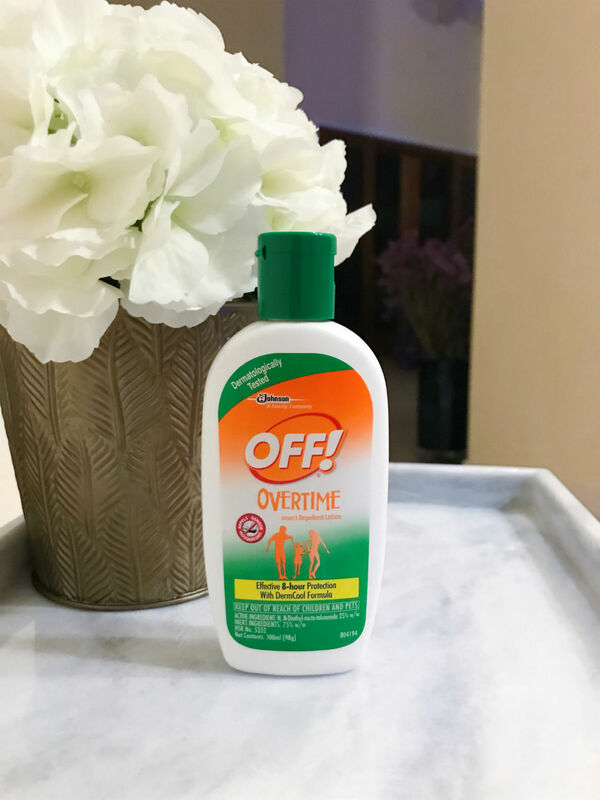 For more information about OFF!, you may visit their website at https://off.com.ph/en-ph.